Sheffmed attended the British Academic Conference in Otolaryngology 2015 at the BT Convention Centre in Liverpool. This exhibition took place between the 8th & 12th July and is the most important ENT event in the UK. There were over 200 speakers and nearly 1500 ENT doctors, nurses, specialist consultants and care professionals attending. 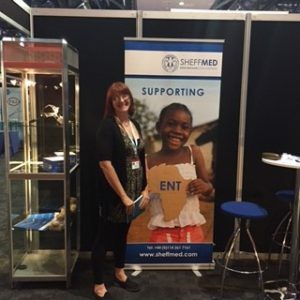 The Sheffmed team took a range of products and for plenty of information on ENT_AFRICA. Thanks for coming to visit us at stand 13.